Description: AAM has over 20 year experience. They are a local Denver metro company that services the entire Front Range and the Rockies. It is their knowledge and professionalism that supports company growth and success. AAM has a strong sense of integrity and exemplifies high standards. Everyone employed by AAM is highly skilled and qualified. AAM has over 20 year experience. We are a local Denver metro company that services the entire Front Range and the Rockies. It is our knowledge and professionalism that supports company growth and success. AAM has a strong sense of integrity and expmplifies high standards. Everyone employed by AAM is highly skilled and qualified. A dedicated group of folks who are committed to a different level of quality, service, and principles, often not found in the construction industry. We couldn't be more proud of our A+ rating with the BETTER BUSINESS BUREAU! Description: Advanced Home Solutions provides services in Orlando, Tampa and Destin Florida. With over 25 years of experience, Advanced Home Solutions provides a HAAG certified certified team and expert knowledge in the insurance restoration process. Advanced Home Solutions holds an A plus rating with the BBB, is a NIRC Certified Contractor, is a member of the Florida Home Builders Association, and a Lead Safe EPA Certified Firm. Advanced Home Solutions is a certified CertianTeed Master Shingle Applicator, CertianTeed Shingle Technology Specialists, CertianTeed Select ShingleMaster. The mission of All Weather Roofing and Remodeling is to provide honest, reliable, residential and commercial roofing services that stand head and shoulders above the rest. The Owner of All Weather Roofing and Remodeling is second generation roofer from the hill country and has been servicing the state of Texas for 22 years. All Weather Roofing and Remodeling Specializes in metal, tile, composition, Stone coated steel, TPO ,Torch down for both commercial and residential. Description: Allphase Construction and Roofing is in commercial and residential roofing. Our company has over 29 years combined experience. 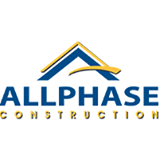 Allphase Construction and Roofing is fully licensed and insured. We are a Licensed General Contractor as well as a licensed roofing, siding, and guttering contractor. We serve all of our customers with the finest in roofing, siding, guttering and preventative maintenance, as well as projected costs and budgeting. We never forget that we are here to serve and satisfy you. We believe that there is no substitute for fast friendly professional service. Our entire staff works very hard to provide quality service at competitive prices and to maintain the customer satisfaction level that has earned us our well-deserved reputation. We utilize only the finest materials and offer top quality workmanship. Our office hours are from 7:30AM to 5:00PM, Monday through Saturday, with 24-hour emergency service. Also, for your convenience, your representative will furnish you with his or her cellular phone number. We have carefully studied the various roofing and siding products available and can suggest the best application for your particular needs. With many years of experience and many durable and weather resistant roofs and siding projects to our credit, we realize that our reputation rides on every project. We are large enough to serve you and small enough to care. Remember, a good roof isn’t just good luck. It’s the result of durable quality products, accurate bids and experienced professionalism. Our team of professionals assist the home owner in identifying, quantifying, and establishing the full extent of loss with your insurance company. Knowing how to package and present the claim is a critical element in achieving a favorable recovery. There is no substitute for experience. At Alpine Exteriors, Inc. we are in constant pursuit of quality in each home improvement project that we complete. By continuously raising our standards to a new level, we have defined the goals and set the standards for our industry. This is what sets us apart from every other contractor in our area. We offer a unique blend of exceptional services that exceed your expectations. Our relationship with you begins well before construction and extends long past the completion of your home. Description: AMP Restoration is a GAF Master Elite Contractor that works with your Insurance provider to maximize the benefits you can utilize on your property. We are licensed, bonded and insured with a hard working, proficient and well-managed crew. Our roofers practice to present you with the top-ranked service. Our pride comes from our high-quality results. We guarantee an excellent experience with professionally trained and manufacturer certified crews, knowledgeable experienced project management, a diverse range of quality product choices, and the attention to detail you deserve. Description: The roofing and exterior of a home or business assists in protecting the contents and the people inside from the harsh elements. When you are in need of a new roof, siding repair, or other exterior project, you need to hire someone with experience. At Assurance Roofing and Exteriors, LLC, we are a locally-owned, family-operated business serving the state of Texas with over 20 years of experience in the industry. You can expect to receive top-quality products and work from our roofing and exterior professionals. To show you we mean it, we offer a five-year, fully transferable warranty on labor. We also offer free estimates and inspections. Barrelle Roofing is a local, family-owned company that is focused on providing high-quality workmanship and customer service. With over 22 years of experience, we specialize in all aspects of residential and commercial roofing and gutters. Located in Loganville, GA, we service all of Metro Atlanta and the surrounding areas. At Barrelle Roofing customer satisfaction is the basis of our business. Our goal is to meet or exceed your expectations. We are licensed and insured, an accredited business with the Better Business Bureau as well as a Preferred Contractor with Owens Corning. As most of our business comes from references and word of mouth, please check out our 5-star reviews on Kudzu.com, where we were voted "Best of 2014" and "Best of 2013". As the Metro areas premier roofing, siding and window contractor, we are excited to announce our expansion into a full exterior restoration company. In addition to meeting all your roofing, siding and window needs we now offer painting, gutters, and decks as part of our product line. We are a full service restoration company providing superior roofing, siding, and window systems through the use of experienced salespeople, skilled workers, professional project management and fair business practices. Count on us to get the job done right the first time. Our experience in dealing with finish detail and effective restoration techniques cannot be matched by any other source. We’ve built an honest and reliable company with an emphasis on outstanding workmanship and complete customer satisfaction. You deserve the best. BP Construction provides roofing, siding, gutters & other home & business construction services in Meridianville, AL. Your call for Home exterior projects! For over 30 years, home and business owners in Meridianville, AL, Huntsville, AL and surrounding areas have trusted their most necessary and intricate roofing services to BP Construction. Why? Because we offer the best service and highest quality materials in the business to ensure your roof is made to last. For over 30 years, home and business owners in Meridianville, AL, Huntsville, AL and surrounding areas have trusted their most necessary and intricate roofing services to BP Construction. Why? Because we offer the best service and highest quality materials in the business to ensure your roof is made to last. Roofing Contractor in Wisconsin for the last 8 years and over 40 years experience! Whether its distinctive styling, random patterns, architectural designs, or unusual color combinations, we have the resources from the best roofing suppliers in the North. We stand by our work with our workmanship warranty (please ask us for details) and strong testimonials from satisfied customers. When you get an estimate from us, you will meet the owner of our company, and be able to have all of your questions answered by one of the most qualified and experienced roofing contractors in Wisconsin. Description: Since 2008 CM Construction and Remodeling (CMCR) is a full General Contractor Remodeling company, and Houston Roofing Company. We can restore your exterior such as roofing systems, gutters, windows and vinyl glazing. We repair and install siding, exterior paint, interior paint, Sheetrock, wood floors, trims, moldings, cabinets, etc. Our specialty is working with insurance companies and licensed public adjusters. We are storm restoration and water damage restoration experts, familiar with every step of the process to restoring your home or business to a beautiful finish. A beautiful finish makes all the difference! At Crest Exteriors, we simply don’t cut corners. Not with our suppliers, roofing products or our staff. We only install quality products backed by major manufacturers, and we only employ qualified individuals who know roofing and are constantly training to become better. Our team is one of the best around, and when it comes to protecting your family and your assets, there is no reason to gamble. Simply call us today for a free estimate, and you will immediately why hiring the right contractor can make all the difference. Colorado homes face temperature variations over 110 degrees every year which cause our roofs to need replacement more often than anywhere else in the world. Expert Exteriors knows Colorado roofs – we are headquartered in Denver and provide full service roofing, gutter, siding, window, insulation and painting services tailor made to protect your house in our beautiful Colorado climate. We are licensed and insured with a long tradition of customer satisfaction that has helped us to become one of the most successful exterior remodeling companies in the state. We know Colorado and Colorado roofs know Expert Exteriors! Expert Exteriors is now one of the most successful exterior remodeling companies in Colorado. We offer full service roofing, gutter, siding, window, insulation and painting from our Denver headquarters. We are licensed and insured with a long tradition of customer satisfaction that has resulted in hundreds of local references. Description: Florida Shores Construction continues to be a ‘one stop shop’ for all of your construction, development, adjusting, design and real estate needs. For 25 years and counting, we are instrumental in developing and implementing creative business solutions to effectively provide a better service in the construction and restoration industry. Our residential and commercial building divisions cover the east coast of Florida from Cocoa Beach south to Stuart and Orlando. We provide state-wide coverage for roofing and property insurance claims. Description: For years, Gold Standard Restorations has been the premier choice for general and roofing contractors for our area residents. Our reputation for high quality work, reliability and dependability has earned us trust from each community we serve. As a locally owned and operated company, you can be sure that we will go out of our way to treat you like family. We are committed to providing our customers with reliable, secure protection from the elements by installing durable, high quality roofing and remodeling in Crystal Lake, McHenry, Algonquin, Huntley and the surrounding area. All of our technicians are fully licensed, bonded and insured. Maintaining liability insurance is essential to protect our customer’s property and to validate product warranties. Roofing material and product manufacturers take steps to ensure that their products are installed properly by trained and licensed contractors. This means that you know your roof will be installed correctly and that all manufacturer warranties will be in full effect for your roof. We are fully trained and certified by each manufacturer that we represent. In addition, we are certified Angie’s List members and we provide a service warranty in addition to any manufacturer’s warranty. GreenForm is a locally based and owned company with offices in Chattanooga and Nashville. We enjoy a reputation of serving our customers’ needs with the highest integrity. We are a multifaceted company that specializes in the restoration and value enhancement of both residential and commercial properties. We are dedicated to 100% customer satisfaction and strive to exceed the expectations of our clients in all aspects of the restoration and construction industry. As a licensed and insured general contracting firm we are capable of providing any and all services that your properties may need. The commercial division of GreenForm specializes in the restoration needs with a focus on roofing, siding and interior damage repair. Our demolition crew is experienced in safe and thorough removal of damaged structures. We are dedicated to assisting our commercial accounts to enhance the appearance as well as the value of the properties with whom they are affiliated. We have performed services for several commercial customers around the Southeast and have yet to achieve anything but the upmost satisfaction from our clients. Our past clients have been astonished with the level of customer service, work quality and speed. We work in earnest to minimize any disruptions of your daily operations. Your business doesn’t stop for us! All of this is accomplished in as much as possible with the goal of providing a cleaner, healthier community by considering the environmental impact of all the products we use. Our recent addition of our Solar Division only reinforces our commitment to providing a cleaner, greener source of energy. We have the most competitive pricing on solar systems in the nation which are designed to offer reliability as well as the maximum return on investment. In all things roofing, Knockout Roofing can handle any job from small residential repairs to re-roofing, from new construction to large commercial buildings. Our professional roofers have a background in construction so when we work on your roof we take into consideration how it functions optimally with the structure and architecture of your project. Whether we are doing a tear-off and replacement of high quality asphalt tiles for your home’s steeply sloped roof or adding a membrane coating to a flat business roof, we have the knowledge and credentials that set us apart as one of the leading roofing companies in the state. We are among only a handful of GAF Factory Certified Master Elite Roofing Contractors in Utah which means our products and installation are covered by the GAF warranty you select. GAF roofing systems are known to be among the best roofing materials available. We are also an IB Roofing System Authorized Contractor. IB membrane roofs are the top choice of small businesses to large commercial buildings with a flat roof that requires superior coverage from the elements including UV rays, Rain, and snow pack. IB roofs are virtually waterproof and maintenance free. So whatever your job entails, Knockout Roofing is here to meet your roofing needs. We provide free estimates and spend time with you so you are completely satisfied. Re-roofing or installing a new roof is a large investment and we have a range of products available for you to select from. Give us a call and see the Knockout Roofing difference. Description: Legacy Roofing & Restoration is licensed and insured with a hard working, professional and supervised crew. Our roofing installation technicians are trained to provide you with the top quality service. 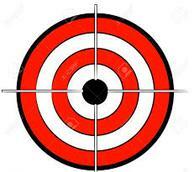 What makes us a quality Mattoon,IL roofing contractor is the way we manager our projects. Every project has the necessary resources and supervision to be successful. Our pride comes from quality workmanship and dedication to get the job done right. It can be a challenge to choose the best contractor for your roof repair or replacement job, but North West Roofing makes the decision easy! When our company was founded in 1963, our mission was to become one of the best roofing contractors in Denver. Today, thousands of homes and businesses along the Front Range are protected by a North West roof. Here at North West Roofing, our focus is simple: To make sure every customer we work with is 100% satisfied with our work and their experience with our company. We go out of our way to communicate openly and frequently so that you’ll always know what to expect and when to expect it. This starts with training every member of our staff, from the front office, to our estimators and installation crews, we strive to make sure each and every one of our employees is fully trained and happy with their job. Because of this, we were recognized among the Denver Business Journal's 2015 Best Places to Work. Location :4253 SW High Meadow Ave. Description: Since 2007 Olneya has been providing professional restoration and roofing services. Our focus on customer satisfaction and quality work has resulted in dozens of happy home owners. Because of our focus on the customer, we’ve won several awards including the GAF Consumer Protection Excellence Award and GAF Customer Service Excellence Award. Olneya Restoration Group, GAF MasterElite: To preserve such a high level of service we make sure that all our roofing inspectors are HAAG-Certified. We also maintain our standing as a GAF Master Elite roofing contractor, a validation held by only 3% of roofing companies in the US. Our work receives the golden pledge warranty, the most substantial warranty in the entire roofing industry. Olneya Restoration Group services include storm restoration, roof replacement and repair, siding, windows, gutters, and attic insulation. Our inspections and consultations by our experts in storm restoration are free to all customers. As insurance claim specialists, our staff walks each customer through filing an insurance claim on their property to ensure the client is fully educated and comfortable through the entire process of getting their life and home back to normal. At Olneya Restoration Group, we understand that your home is a huge part of your life and we have the experience and training to fix it the right way. We’re here because your home deserves a best friend. Description: As one of the nation’s largest privately-owned restoration contractors, Paramount is proud to offer all customers a personalized service experience from our expert management team, plus all the logistical and technological benefits of a large company. Frank Buchanan, CEO has been licensed and servicing the community since 1989, we have grown from a small operation in Florida to a large national company – now serving customers out of 10 branch offices located throughout the U.S. with plans to expand in the future. The services we provide are only as good as the employees who perform them. To ensure superior results on every job, our human resources team actively recruits top collegiate prospects to join our staff. All new recruits complete rigorous in-house training programs, and our project managers and technicians are known throughout the industry to be the most capable and technologically savvy. Before founding Purpose Driven Restoration in 2009, Sean Peters and Tom Phillips worked for a variety of contractors and have had years working in different branches of the construction field. However, they found contractors regularly taking advantage of homeowners and employees in order to increase profits. After seeing the abuses contractors routinely committed, Sean & Tom determined they would establish a company which would have real integrity– a company with the ultimate purpose of treating people right. Now, Purpose Driven Restoration’s reputation as a trusted company for home remodeling, storm damage and emergency repair work is well known throughout the Twin Cities and surrounding communities – and we’re growing fast! Since 2009, we have served thousands of people both in Minnesota and abroad. We are also accredited by the Better Business Bureau, are an LP Build Smart Platinum Level contractor and are a member of the Minnesota Association of Exterior Specialists, to name a few. Rhino Roofing is a leading, locally owned roofing company that has been proudly serving thousands of residential and commercial property owners throughout New Mexico since 1995. We provide professional roof repairs, roof installation, and storm damage repairs with stellar customer service and superior craftsmanship. When you work with us, you can be confident that we provide the highest level of customer service. We use quality materials and have expert crews with over 30 years of experience in roof repairs, roof replacements, and storm damage restoration work throughout New Mexico. Rhino Roofing is the only contractor in the state of New Mexico to hold the following prestigious licenses: Carlisle Roofing, Johns Manville, and Duro-Last Roofing Systems. Rhino Roofing is proudly accredited with an A+ rating with the Better Business Bureau, NIRC Platinum Certified Contractor, Owens Platinum Preferred Contractor, and GAF Certified Contractor. Robinson Roofing and Sheet Metal, Inc. Description: Robinson Roofing and Sheet Metal is a full service construction company. We have over 16 years experience in the construction industry. We have installed over 9,500 roofs, over 1,800 siding jobs, over 1,400 gutter jobs, and more than 1290 windows. Robinson Roofing and Sheet Metal knows the importance of having a completely satisfied customer. This company was started from the ground up and has grown mostly by word of mouth. We started over 30 years ago when our local founder opened a Roofing Company to help his neighbors with their roof leaks. In 2015, the company re-branded to create Roofing Solutions Hawaii, LLC. New additions to the executive team bring the most elite and talented roofing experts on the Hawaiian Islands under one roof. Our goal is still the same....to help our neighbors and friends with their roofing needs, but we are now better equipped to service our customers with a management team that has distinct specialties, that when added together makes us Hawaii's Premier Roofing Contractor. In business since 1985 – Ryan Construction and Roofing’s work can be seen all over the region including Alton, Bethalto, East Alton Edwardsville, Glen Carbon, Godfrey, Granite City, Roxana and Wood River. Along with placing residential and commercial roofs all over Madison and St. Claire Counties in Illinois, Ryan Construction and Roofing installs siding and will advise on and complete additions to your home or business. Ryan Construction and Roofing carries an A+ rating from the Better Business Bureau. Ron Ryan is a knowledgeable contractor, skilled in understanding a job’s requirements, accurate in bidding each job and dependable to fulfill your wishes. Location: 7548 Slate Ridge Blvd. Location :425 S. Wilcox St. Location: 205 A North Laurens St. Description: Storm Team Construction’s Mission is to go where the need is the greatest, especially in storm affected areas. With locations in Georgia, South Carolina, Colorado, Florida, North Carolina and Ohio, we carry all of the necessary state-to-state licenses, insurance and bonding, so you can rest assured that you are working with a "by the book" contractor. We are able to handle all of the work on your home or commercial building from the roof down. We use only the most experienced roofing, framing, siding, gutter, and painting professionals in the industry. Our storm specialists work directly with you from the very start of the restoration process, until your project is complete. We take the headache out of getting your house back in order. We have helped thousands of customers navigate through the process of dealing with their insurance companies after a major storm. All you have to do is pick your colors! Superstorm Restoration began as a fledgling construction company in 1998. It was a dream instilled in our blood line from the farm fields of north central Iowa. We took the passion of weather, combined it with the work ethic and knowledge earned through years of experience in the new construction trades of carpentry. In the fall of 2011, a severe hail storm hit our personal neighborhood, and we quickly noticed the lack of contractors that could help us understand all aspects of our insurance claim. In our discovery, we noticed that contractors were more interested in the "retail" aspect of the work, and very few actively pursued the painstaking insurance process. With our experience in the claims process and through fine tuning, patience, and a passion to help families, we came up with Superstorm Restoration's streamlined system. Today, we use state of the art technology both in the field and in the office to serve families on each and every project. Our team has spent hours in class learning the process of an insurance claim, creating a process that is easy for families to follow. Our approach is unique in that it prioritizes teaching and educating families. We want to take care of your family. THE BALES COMPANY CONSTANTLY STRIVE FOR INSPIRATION THAT ALLOWS THEM TO CREATE NEW AND ORIGINAL DESIGNS WITHIN OUR PRODUCTS FOR THEIR CUSTOMERS. Description: The Edge Contracting is an Insurance Restoration Company that primarily services residential and commercial roofing applications and restoration. The Edge Contracting are also experts in siding restorations and remodels. The Edge Contracting exist to serve their community and surrounding areas with the help necessary to offset the damage and inconveniences caused by storm and catastrophic events. At The Edge Contracting they desire to create a new level of customer service, one where you know you matter to them. Description: Thompson Roofing and Siding is locally owned and operated in the Lake Ozark area by John Thompson and his family. Our main goal is to help people in our local communities. Storm damage is a huge issue in the area so we work with our customers and their insurance companies to undo the damage and get roofs restored better than they were before. Our business revolves around repairing storm damages and helping our customers deal with insurance claims. It is common for insurance companies to try to de-value claims as a way to save money so our goal is to help customers get a fair damage assessment from insurance adjusters and receive the coverage they need to get their roofs restored. Our team is made up of the highest trained roof inspectors in the Mid-Missouri area. We have invested in the leading insurance restoration training programs to make sure our team has the knowledge to make sure our customers get a fair assessment for their insurance claim. Our customers are key to the business and we are committed to offering the best friendly and professional service in Lake Ozark communities. With our latest roof inspection methods, we have incorporated the use of GoPro cameras to show our customers exactly what we are seeing during a roofing inspection. We will sit down with you to show you first hand what we have found and from there determine the best plan of action for your roof repair or replacement. Fully licensed and insured with over 50 employees and 5 crews representing over 20 years experience and backed with the Better Business Bureau. Our workforce is dispersed throughout the Atlanta metropolitan and suburban areas. We provide homeowners more peace of mind with our certified professionals taking care of the first line of defense for homes, the roof. We work directly with insurance adjusters so we can get the job done in a most professional manner. With the backing of your insurance company the end result is a handsome replacement roof that incorporates, seamlessly, compliance of all construction codes and homeowners desires. Top Pitch is dedicated to customer education of shingle technology and will blow away competition with amazing proficiency as well as complete and personal customer service. Top Pitch uses GAF Certified Roofing and provides a 30 year GAF Timberline Warranty on our True Architectural Shingle and a 10 year Craftsmanship Warranty on Installation. We provide a 25 year Warranty on our Sovereign 3-Tab Shingles. We have several colors of Shingles giving you the most pleasant appearance to complement your lifestyle. We provide upgrades mandated by State Code Requirements and install Drip Edge and Ice and Water Shields. We are sure you will find our services to be exceptional and are looking forward to working with you to ensure you receive the best possible customer service. Description: Triple Diamond Construction was founded on the principles of family and friendship. We strongly believe in serving our community and maintaining long lasting relationships with all of our clients. It's our belief that honesty, integrity and high quality workmanship will maintain these relationships for generations to come. TDC wants to ensure that all of our clients are well informed to make the proper decisions regarding their largest investment. Our trained professionals will take the time to answer any questions, address any concerns and take notes for any special instructions from the home owner. 100% customer satisfaction is the only acceptable outcome. Description: At Tru-Tek Roofing and Restoration, we pride ourselves in our ability to provide exceptional services at affordable prices for our neighbors in Gwinnett and Suwanee. Whether you need to have the roof of your residential or commercial property repaired or replaced, our friendly staff members can be of assistance. Unlike other roofing companies in the area, we also provide free estimates on all of our projects and will always provide a detailed breakdown of your services. US Restoration and Remodeling, Inc.
U.S. Restoration & Remodeling, Inc is a locally owned company where customers and quality are never compromised. We have over 14 years of installation experience as well as 10 years of Storm Damage Restoration Work. We work with every insurance company under the sun! (There is over 250 nationwide). We do 80% of our insurance volume with some of the largest Insurance Companies including; State Farm, All State, Nationwide, Farmers, American Family, Grange, Liberty Mutual, Pacific Specialty, Auto Owners, State Auto, Motorists and more! We are a full scale remodeling contractor. Not just a Roofer. We can handle every aspect of your claim from start to finish. Roofing, Siding, Gutters, Water Damage, Carpet, Glass, Windows, AC damage, Screens, Fences, Pool Decks, Paint....we can handle it! Description: At Venture Construction Group, they are in constant pursuit of quality in each home improvement project that we complete. By continuously raising their standards to a new level, Venture has defined the goals and set the standards for our industry. This is what sets them apart from every other contractor in their area. Venture is a full service contractor offering Insurance Restoration service’s and 24/7 Emergency Services. Venture Construction Group was founded as a siding and roofing contractor but has grown into all aspects of construction, including but not limited to, roofing, siding, windows, painting, drywall, flooring, stucco, kitchens, and much more. Description: Venture is a full service contractor offering Insurance Restoration service’s with 24/7 Emergency Services. Venture Construction Group was founded by a siding and roofing contractor. It has grown into all aspects of construction, including but not limited to, roofing, siding, windows, painting, drywall, flooring, stucco, kitchens, and much more. We understand and appreciate the value of your business. That’s why we have made it our mission to provide you with reliable, quality services. Even though our company continues to grow, our belief in the value of an honest, one-on-one relationship remains the same. We stand by all that we offer. In addition, we guarantee that by the time our work for you is complete, you will be nothing less than completely satisfied. The mission of the National Insurance Restoration Council (NIRC) is to act as the principal advocate for improved legislation and case law to protect the consumers and contractors when dealing with insurance claims throughout the nation. The NIRC certified contractors adhere to our code of professional conduct, educate property owners about the insurance restoration processes and give back to the communities in storm damaged areas. © 2016 National Insurance Restoration Council (NIRC). All Rights Reserved.